During the month of JUNE – Miss Mustard Seed’s Milk Paint colours of the month are Kitchen Scale and Grain Sack. Here’s an idea that allows you to play with these colours that actually go together quite nicely. 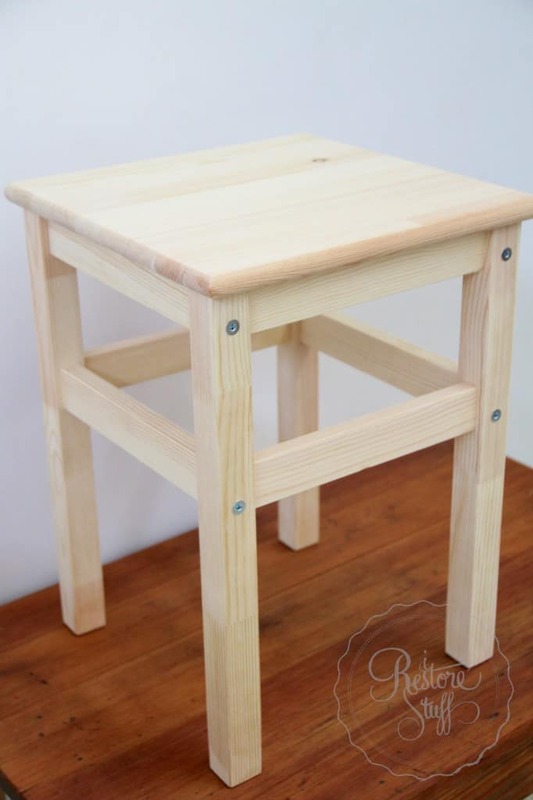 I’m starting with an ordinary stool from IKEA. 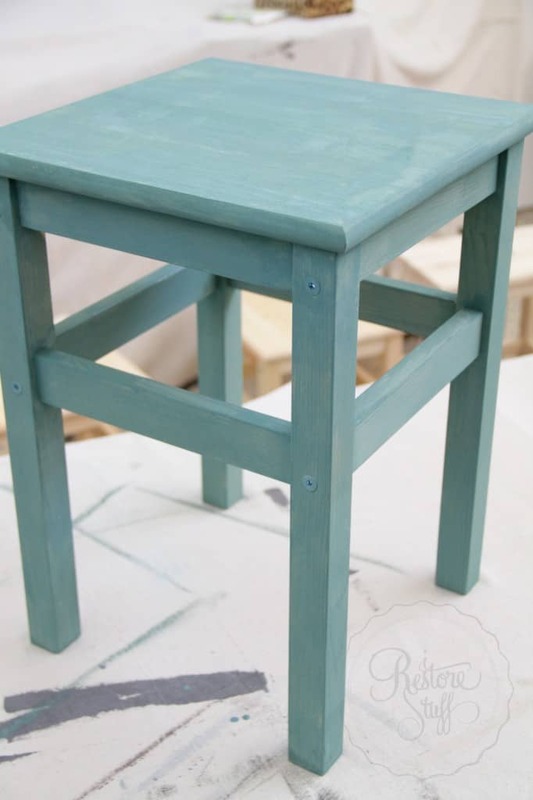 It is made from raw wood, so it is going to soak up the milk paint right into the grain of the wood. 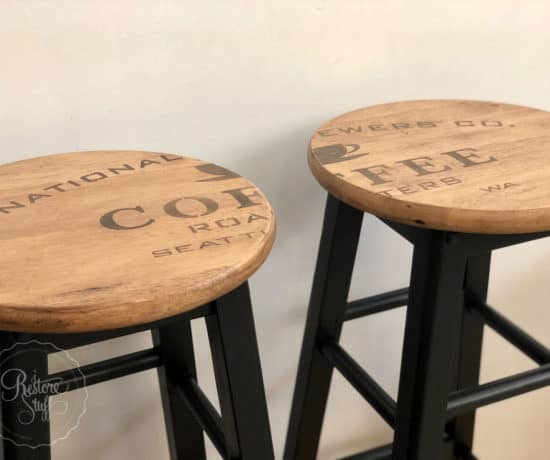 I’m going to be holding workshops with stools similar to these very soon. Here’s the look we are going for (below), so you know where we are headed with this. 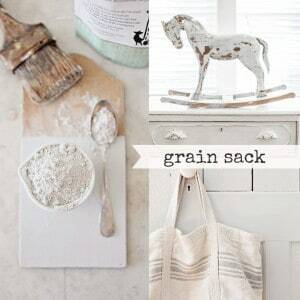 This is Grain Sack over the top of Kitchen Scale. 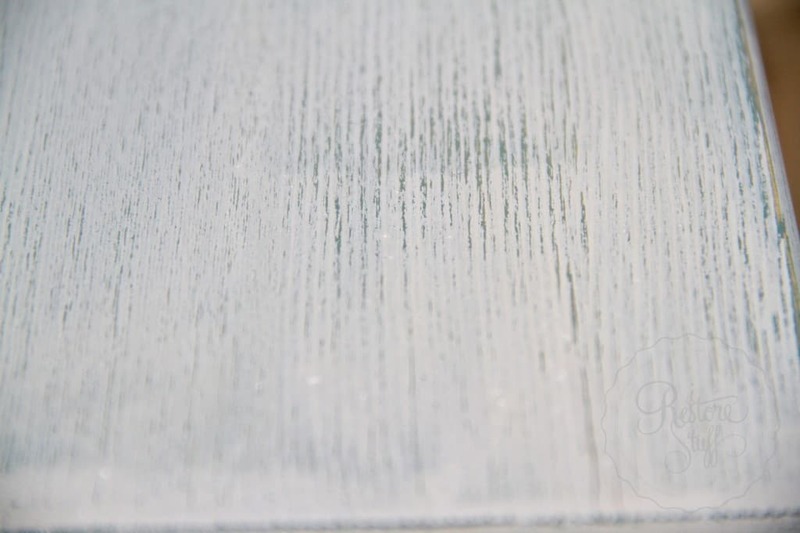 Can you see the green Kitchen Scale colour peeking through the greyish Grain Sack colour? Follow along to see how we achieved this effect: We mixed together approx. 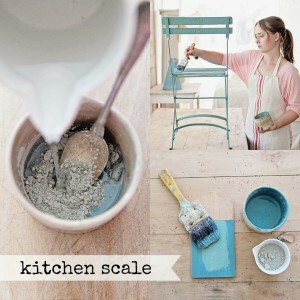 1/4 cup Kitchen Scale MMSMP powder and 1/4 cup water using the MMS Milk Paint mixer. 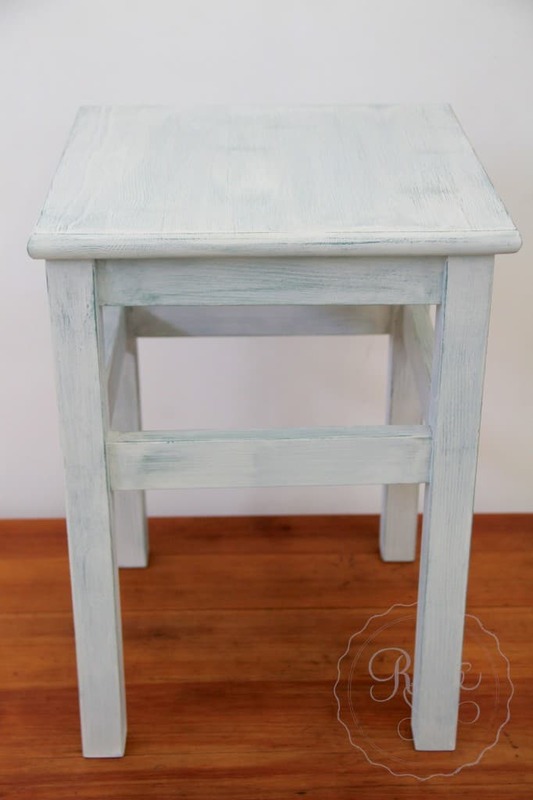 Turning the stool upside down, Juliana painted the base & legs, then the top with Kitchen scale. 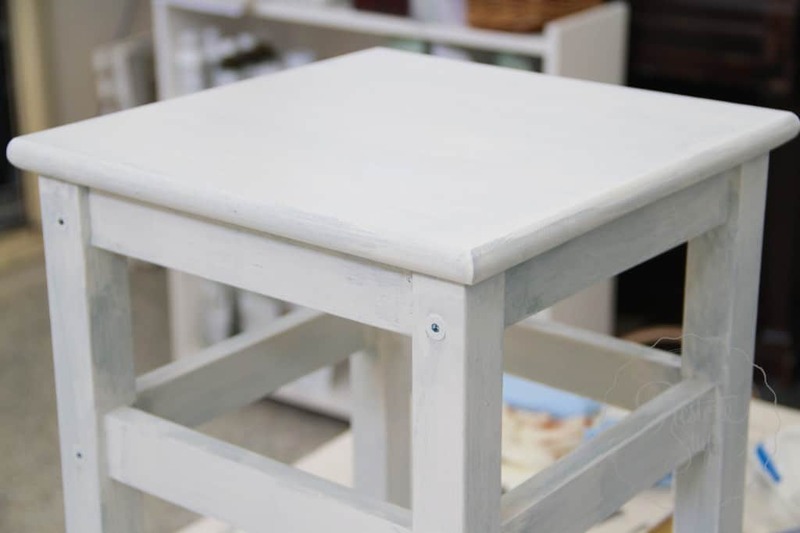 Once the whole stool is painted with Kitchen Scale, allow to dry. 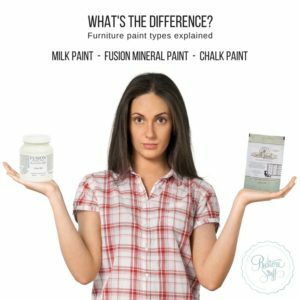 You’ll find that milk paint dries very quickly. Especially with raw wood like this. Ours was well and truly dry within 1/2 an hour. 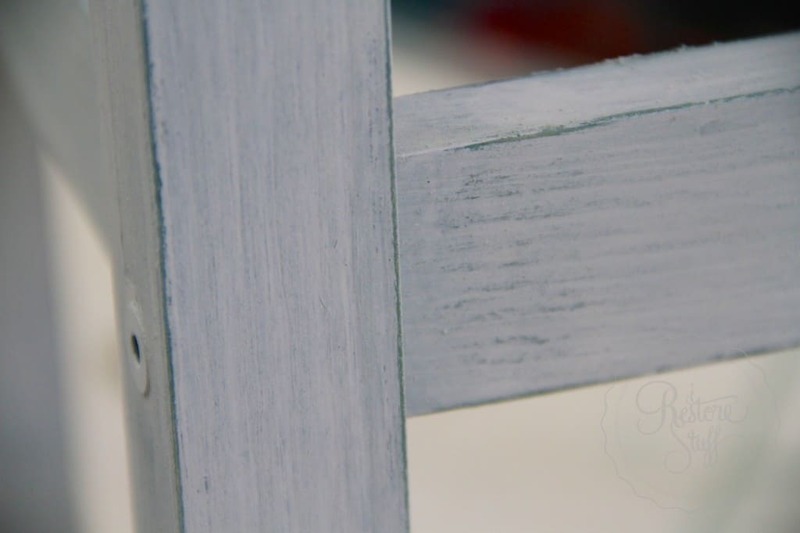 You can still see the wood grain through the paint as we only used one coat. 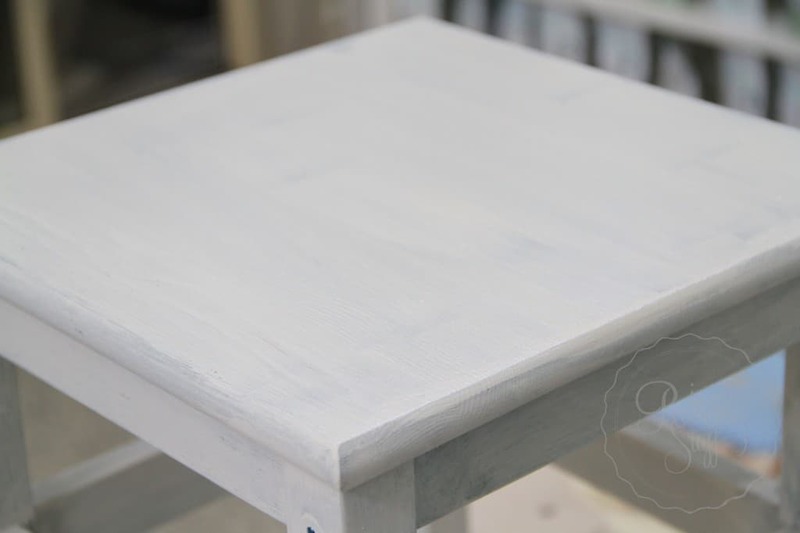 For this project, we only needed the Kitchen scale colour to be a base coat for our top coat of Grain Sack. But I wanted some of the Kitchen Scale green to peep through. 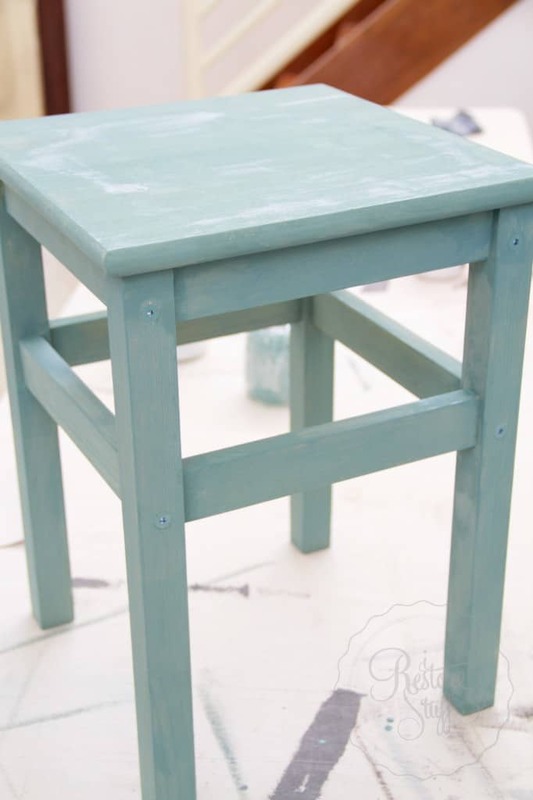 So to do this, I had Juliana coat the stool with Hemp Oil over the Kitchen scale colour. 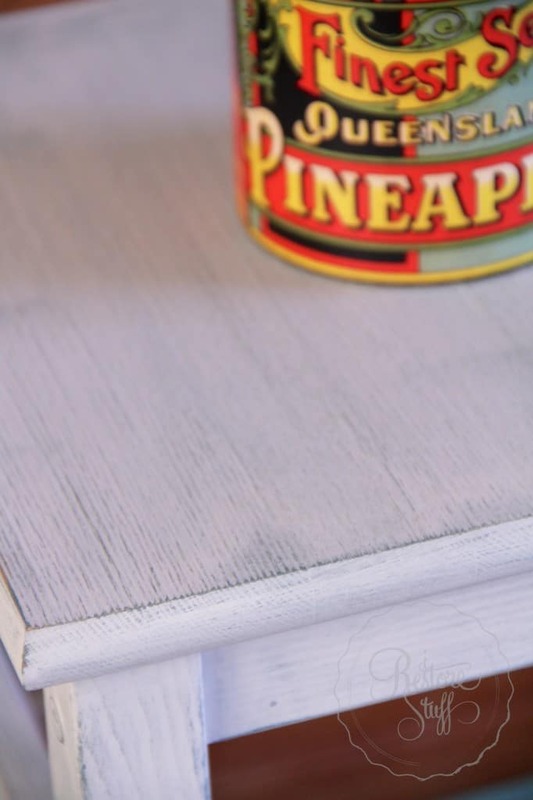 This will act as a “resist” so that when sanding back to distress the finished project, you won’t sand all the way through to the raw “blonde” wood. 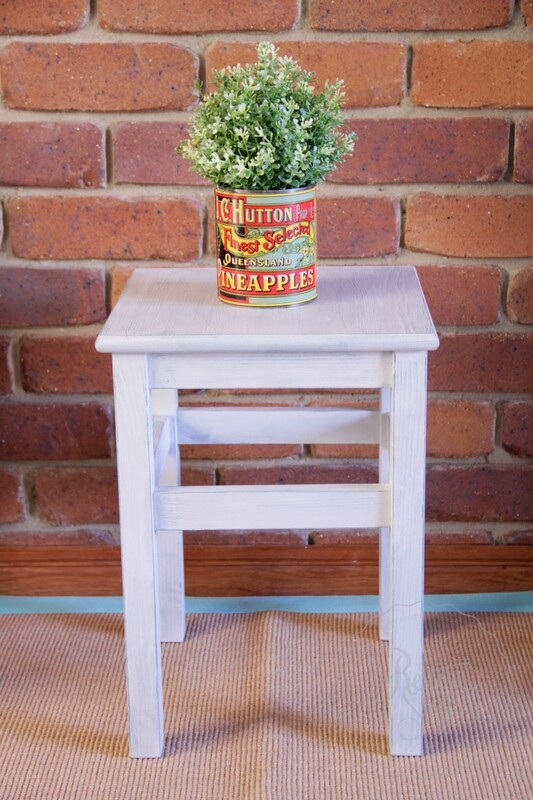 We then covered the stool in two coats of Grain Sack colour. Then all we had to do was sand back gently using a fine grit sandpaper (320) to distress the Grain Sack finish, revealing the lovely Kitchen Scale underneath. A finish coat of Hemp Oil gave this piece a nice protective finish. 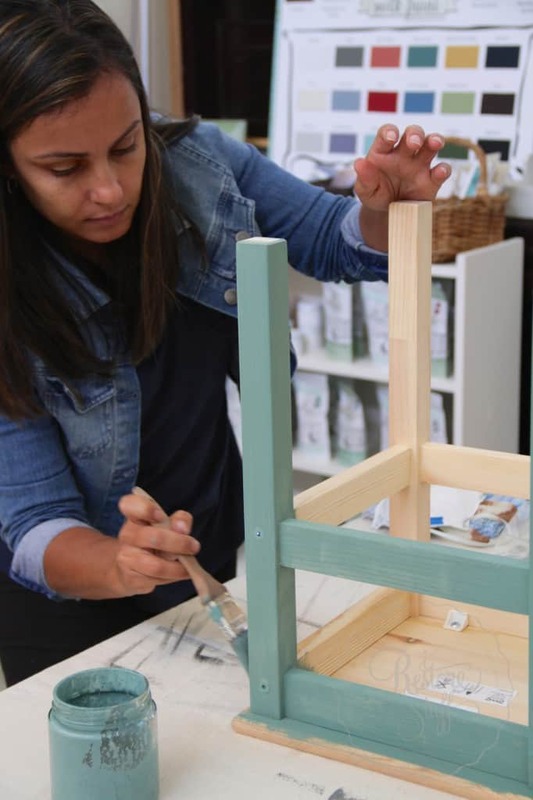 Don’t forget if you’re interested in workshops, check out the Refinished website (for Australian followers) or the Miss Mustard Seed’s Milk Paint USA website (for overseas subscribers) for a workshop happening near you! 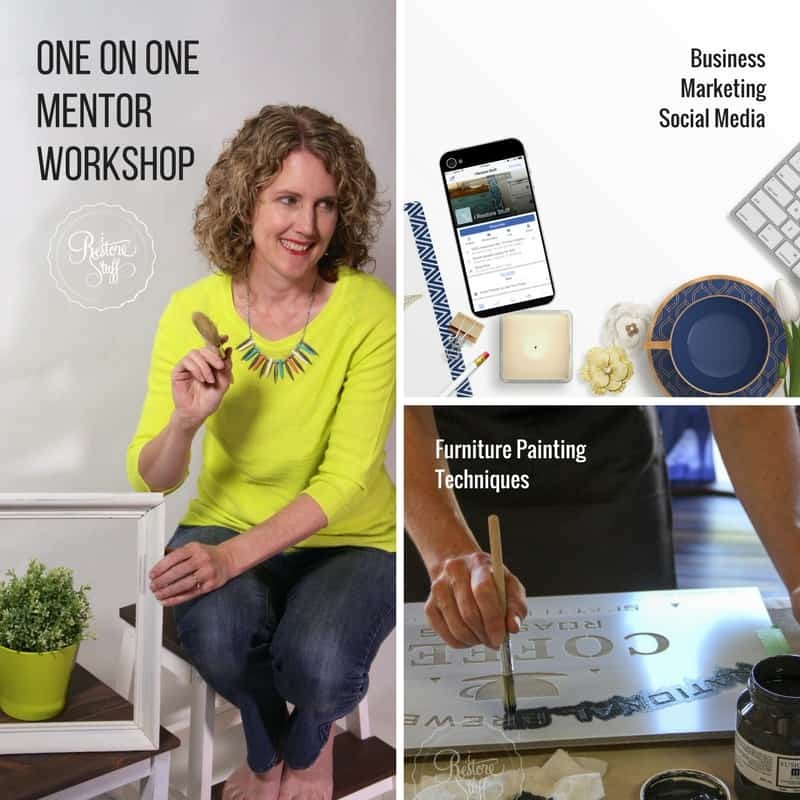 If you’re in the Brisbane/Logan S.E.QLD area click on the workshop tab here on my website. 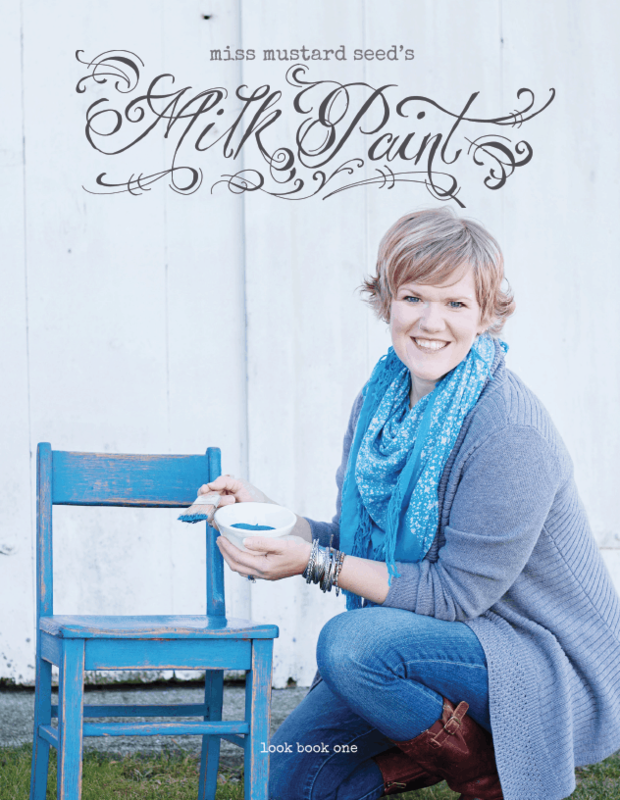 I’d love to see what you’re doing with Miss Mustard Seed’s Milk Paint colours of the month, so please send me pics of your projects. 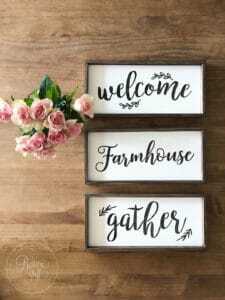 I’d love to share some of your work with my Facebook followers or blog subscribers. PS. 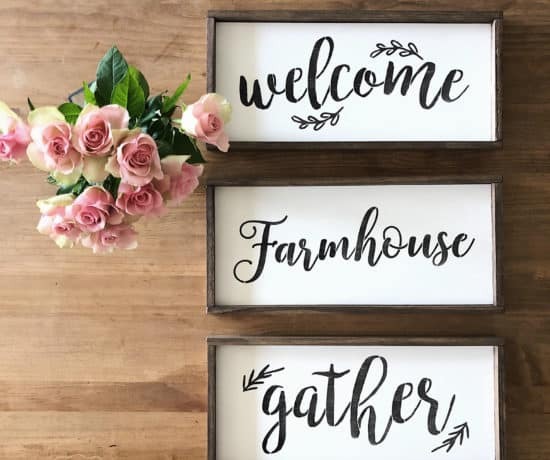 Cute antique canning label pictured above, available HERE along with 3 other styles in both printed form and digital downloads. 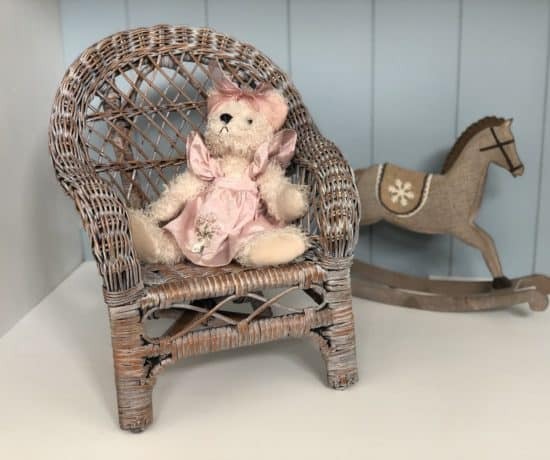 DIY Chair Upholstery – First Timer! I love the oil trick between layers. I am going to try that! How long did you wait between the hemp oil and when you applied your Grain Sack? Thanks for the great info! 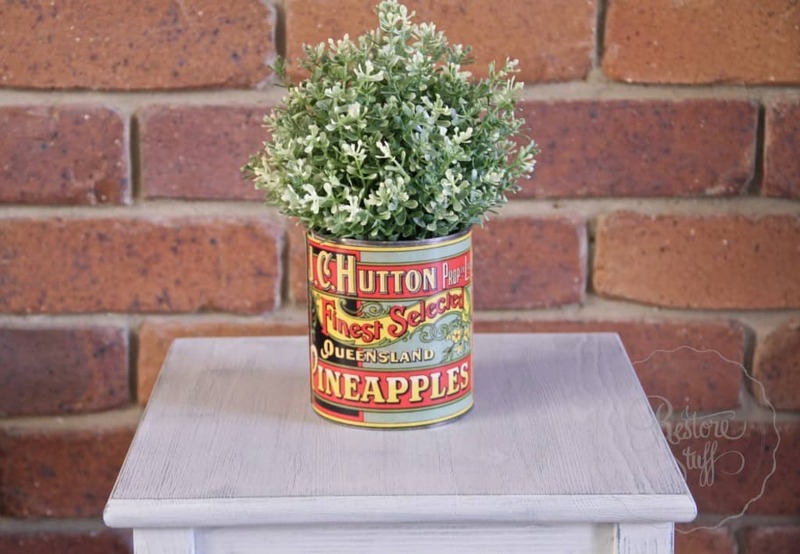 Emily, I recommend painting straight after the hemp oil is applied for best “resist” results. 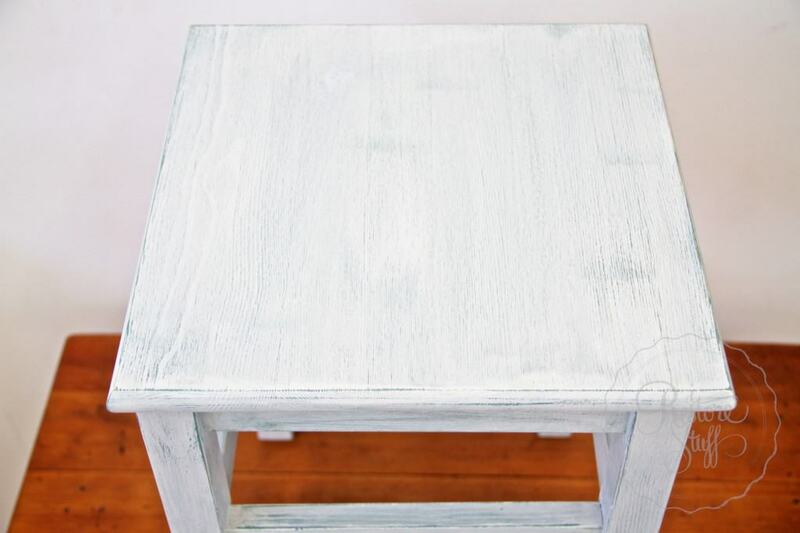 You will notice the paint slightly bubbling and resisting as you paint over it while it is still wet. Don’t spend too much time trying to “work in” the paint, though, just paint straight over and let it do its thing. I tried resist method using hemp oil but all my paint chipped off. I thought I had peice sanded well enough before starting but I guesss not. 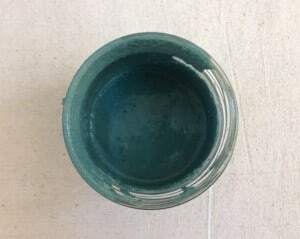 If I resand down and use bonding agent with my first coat and then use hemp oil between mthat and my second color for still some chipping to first color. 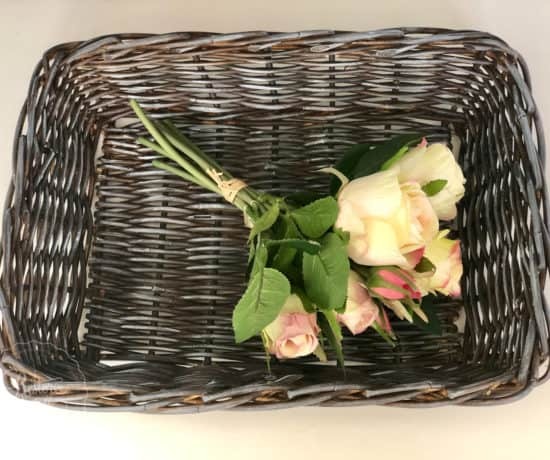 I was told that may not work. Whats your ideas on this? Yes, if you want the first coat to stick well, add the bonding agent. 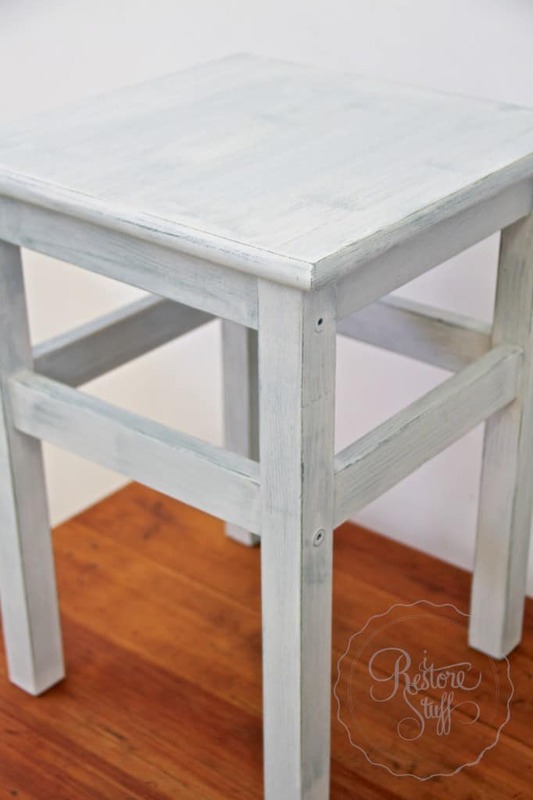 It sounds like the surface may not have been good for the milk paint to stick to. 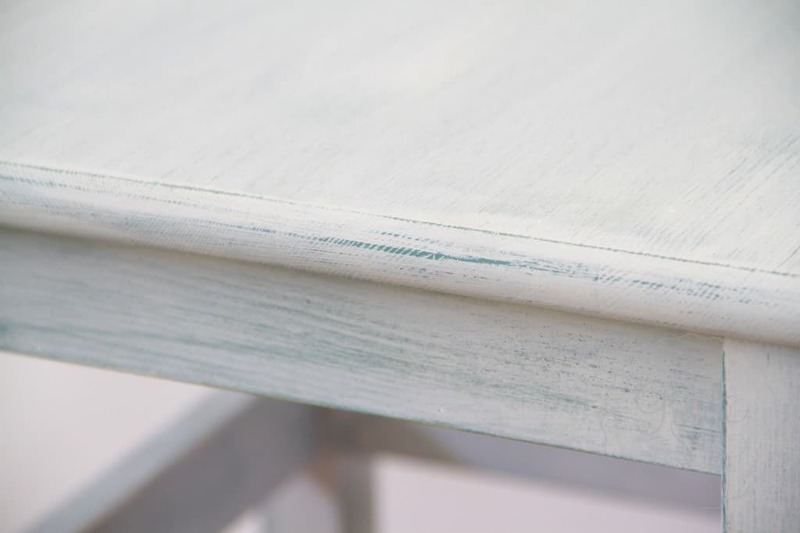 Some surfaces are quite difficult to tell, even when sanded, how they will react. Did you mean that you would still like the first layer to chip also? Or just the second coat? 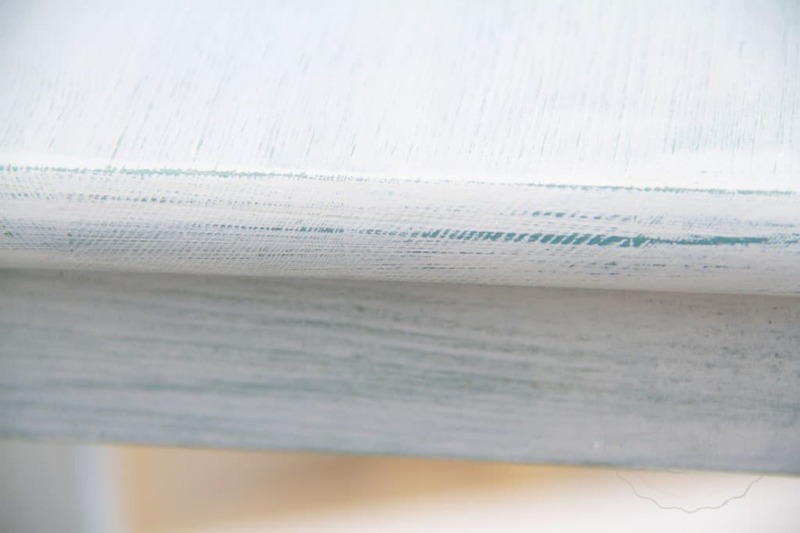 If you are trying to get a layered paint effect, the hemp oil is great as a resist between the two layers. 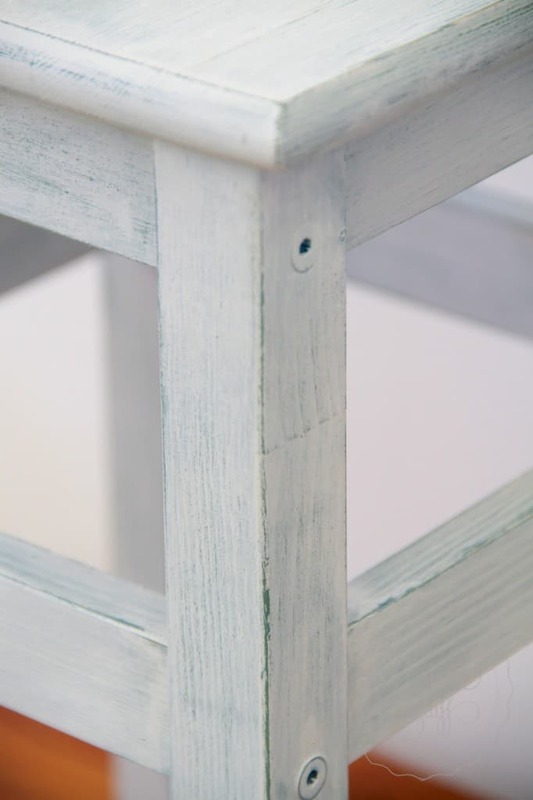 Then if you are still wanting more of the original wood/paint to show through, you can sand further after it has all dried. I hope this makes sense.